Mojo wristbands or bracelets are a new, stylish accessory. Athletes have worn Mojo wristbands and taken advantage of this technology for many years. Now this same technology is available to you! Mojo Futuretech is a worldwide distributor of state of the art holographic Mojo wristbands and Mojo equestrian patches. Mojo products are embedded with holographic technology which to date has mainly been used by elite athletes. Today however, Mojo wristbands are popular amongst a much more varied range of people: from amateur athletes to avid gym goers. More recently Mojo products have been adapted for pets and horses and we now offer a selection of specialist Mojo equestrian patches and animal patches. What could a Mojo wristband do for you? The Mojo wristbands we offer incorporate holographic discs. 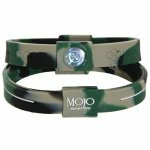 The holograms within Mojo products are programmed with naturally occurring frequencies that complement the human energy field, helping people get the most out of their Mojo Wristband. A cross-section of people, from the physically impaired to the extremely active, are now embracing the benefits of Mojo wristbands. Tests demonstrate results that are very difficult to ignore. Mojo wristband wearers come from all walks of life and a wide range of sports and activities. To find out more about Mojo wristbands, please view our testimonials and video uploads or contact us today. It's not just humans that can benefit from our Mojo products. Mojo equestrian patches harness the same holographic technology as the Mojo Wristbands for people. Just like Mojo wristbands, they are programmed to work with naturally occurring frequencies within the animal. Many owners, including professional Jockeys, have reported instant results when attaching Mojo patches to their horse's cheek or head piece. Mojo products have also been reported to work well with other animals such as dogs. At Mojowristbands.co.uk we aim to supply only the best Mojo products. If you require further information about any of our Mojo products then please do not hesitate to contact us. 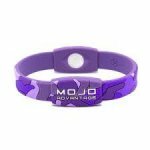 Buying online with Mojowristbands.co.uk is easy, quick and most of all, secure. Browse all our products online and read testimonials from users of Mojo products. Once you've selected your Mojo product, simply go to the checkout to use our secure payment system. We offer FREE DELIVERY on all UK orders of two wristbands or less. We hope you find our site useful.